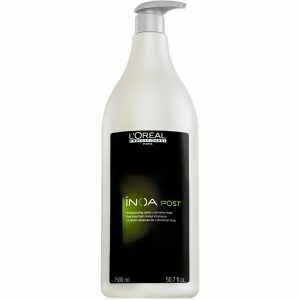 Damaged, over-processed and unconditioned hair can feel brittle, lacking manageability and shine. Formulated with Pro-Keratin and Silk. 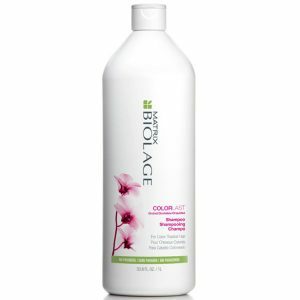 Reinforcement for over-processed, weak or fragile hair. Restore your hair with one application. Specially formulated to meet the needs of damaged and chemically-treated hair. 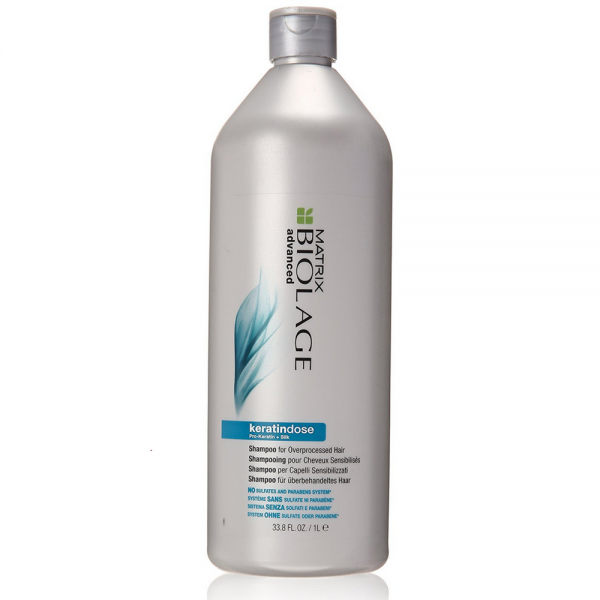 Matrix Biolage Keratindose Shampoo (1000ml) gently cleanses away excess oil and impurities. 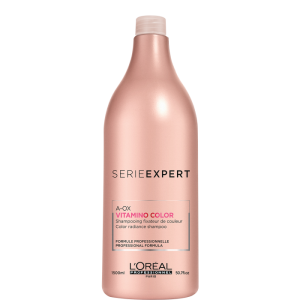 The Pro Keratin and silk extract-enriched formula helps to soften, repair and moisturise your hair. Ingredients: Aqua / Water, Cetearyl Alcohol, Elaeis Guineensis Oil / Palm Oil, Behentrimonium Chloride, Phenoxyethanol, Glycerin, Isopropyl Alcohol, Parfum / Fragrance, Stearamidopropyl Dimethylamine, Arginine, Glutamic Acid, Citric Acid, Limonene, Serine, Chlorhexidine Dihydrochloride, Hydroxypropyltrimonium Hydrolyzed Wheat Protein, Hexyl Cinnamal, Serica Powder / Silk Powder, Coumarin, Linalool. We also recommend these products from the Biolage range.